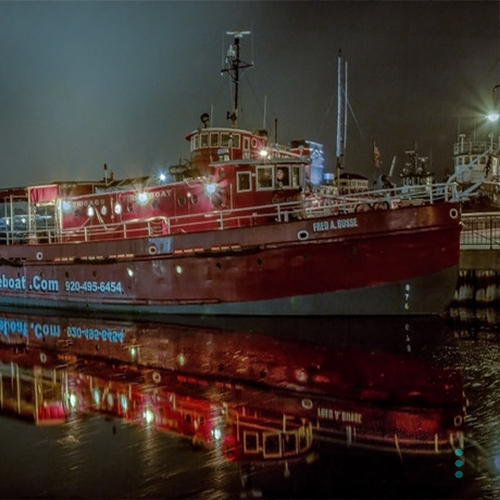 The retired Fred A Busse Chicago Fire Boat found a home in Sturgeon Bay, Wisconsin as a tour boat. 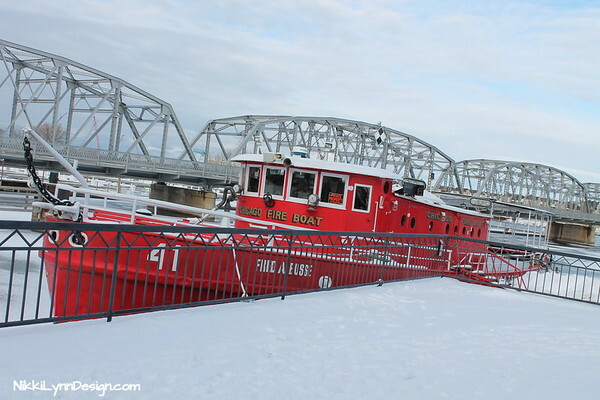 Visitors can board the Fire Boat at the city dock and get a water view of Sturgeon Bay sites. 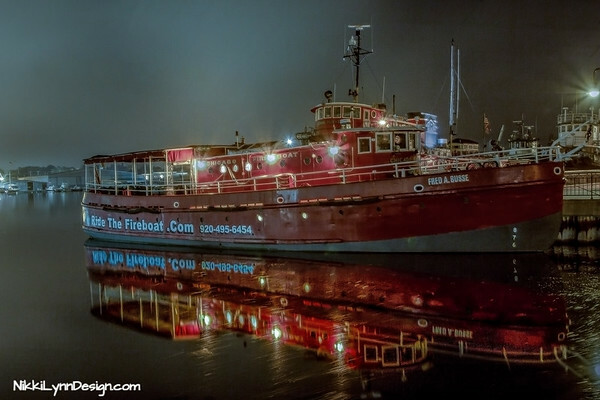 The fire boat was built in Bay City, Michigan and commissioned in 1937. It was in service for 44 years at Navy Pier, in Chicago, Illinois. Retired in 1981 and is now serving as a tour boat in Door County, Wisconsin. What is a Fire Boat and What Was Its Job? A fireboat is a specialized watercraft with pumps and nozzles designed for fighting shoreline and shipboard fires. The first fireboats, dating to the late 18th century, were tugboats, retrofitted with fire fighting equipment. The boats would protect the waterfront in Chicago. 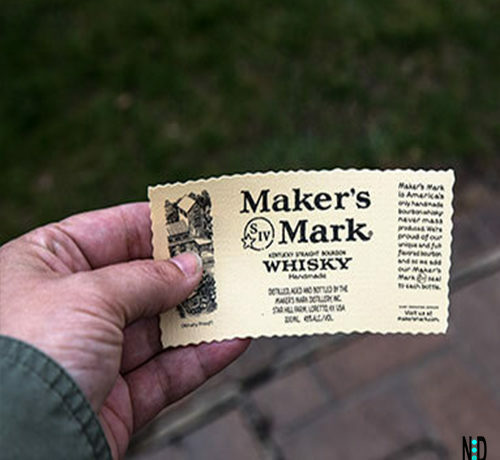 Back in the day, all the buildings and wharfs that lined the waterfront were made from wood. Today, they are made of concrete. Which is why the city no longer needs the sheer amount of boats it once did. Along with stricter building codes, also brought new building methods for fire boats. Making the newer style boats cheaper to run. Making the old boats outdated. 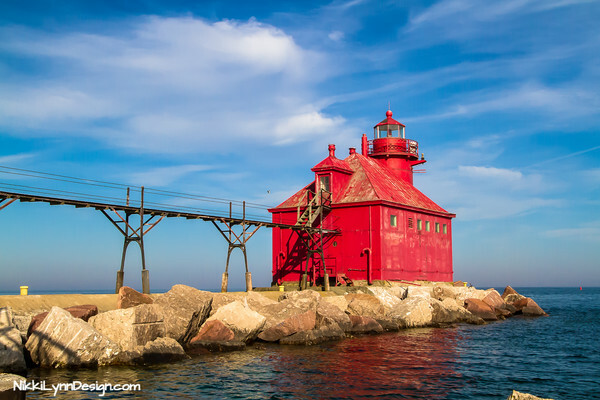 View of the Sturgeon Bay, Wisconsin lighthouse that you can see from the fire boat tour. 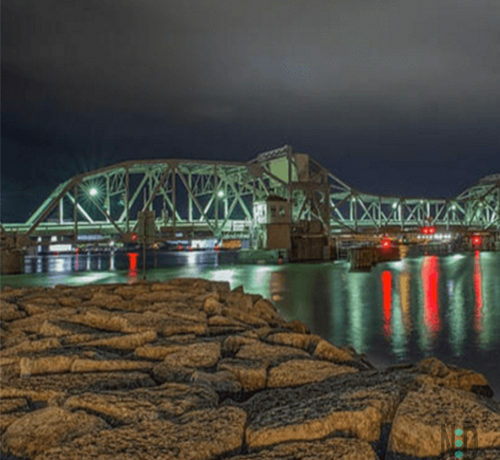 You can see the fireboat from the Sturgeon Bay City Dock by the old steel bridge during the day or night. Although, at night it makes for a stunning view. 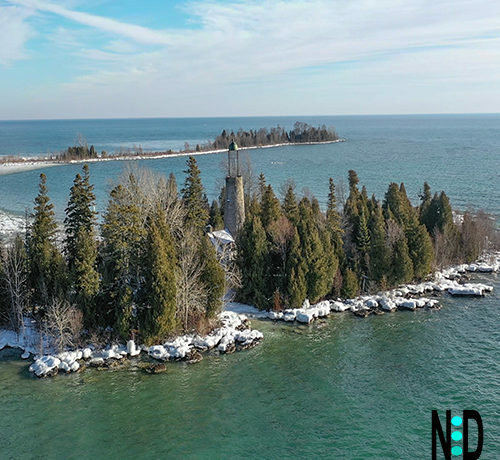 Visitors can see the ships along Bay Ship Building and cruise through the canal when purchasing tickets to ride the fireboat and view the Sherwood Point Lighthouse, Sturgeon Bay Lighthouse and Coast Guard Station.